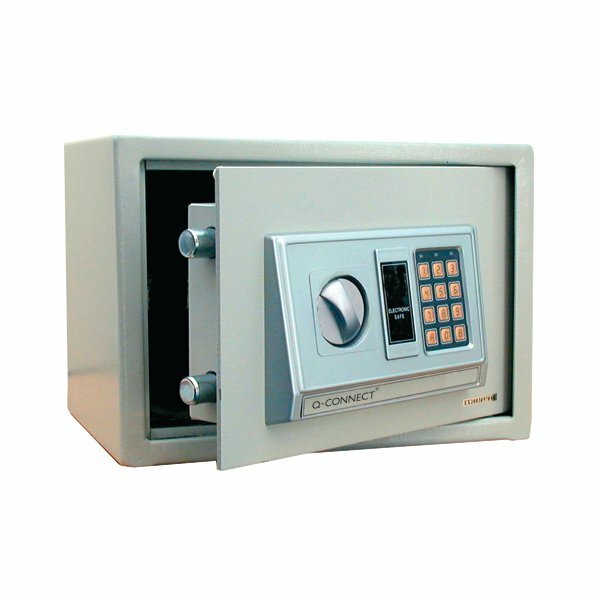 This Q-Connect security safe has an electronic locking mechanism with concealed emergency key override and 3 minute auto lock after three incorrect codes have been entered. 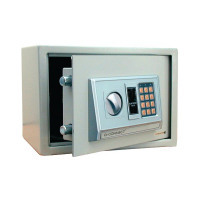 The safe also has two combination codes; a user code and an emergency code, in case the former is forgotten. A low battery warning lets you know when you need to replace the batteries for continued security. Fixing holes make it easy to mount this safe securely to the wall or floor, and a full fixing kit is included for easy installation.